Join University of Cincinnati’s Drs Maria Paz Moreno and Eric Tepe for a talk on the fascinating topic of Theobroma cacao, i.e. 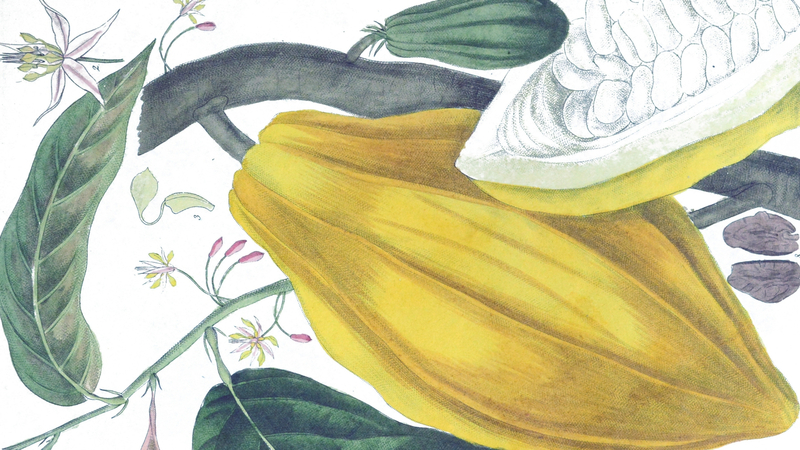 the chocolate tree, exploring both the botanical and historical aspects of chocolate, as well as its cultural significance throughout the centuries. From its role in the sacred ceremonies of the Maya and Aztec peoples to becoming a rare treat for 17th century European nobility and the widely available commodity that it is today, the history of this “dark gold” and the tree that produces it will not leave you indifferent. Reservations Required. Free and open to the public. Doors open with refreshments at 6 p.m., lecture begins at 7 p.m.